About half of New Zealand’s energy is derived from oil, much of which is imported. But there are some distinctive sources of electric power. This includes a major contribution of hydroelectric power derived especially from South Island rivers, some limited use of solar and wind power, and a geothermal power station drawing on the underground reserves in the Taupō region. 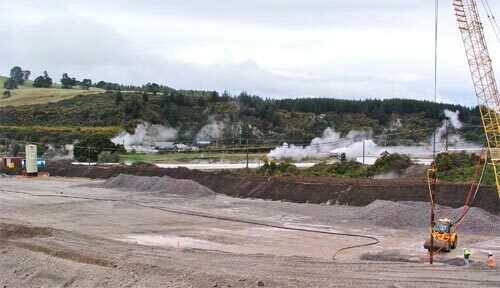 The Wairākei geothermal station was commissioned in 1958. It draws steam from wells about 600 metres below the surface and by the time the steam reaches the power station the temperature is about 148°C.